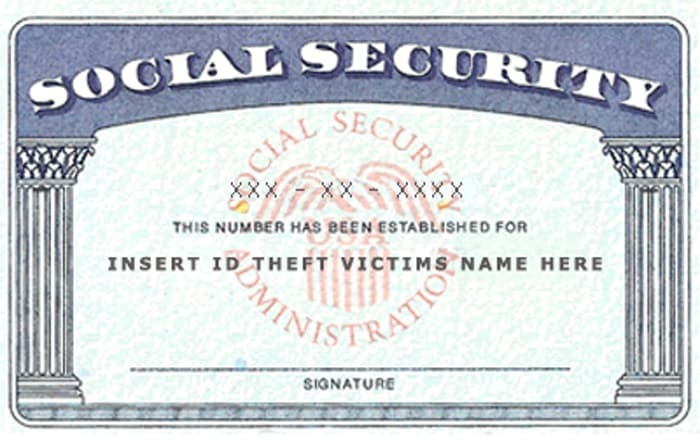 The social security card is a very sensitive document for American residents because it is the only government-issued identity for the residents. Not only American citizens but also non-citizens who have the authorization to work in the US get the card. Just as it is the most important piece of document for US residents, it is equally important for rogues too, who lose no opportunity to steal the identity of people for clandestine purposes. This can be dangerous because identity theft exposes you to various vulnerabilities like swindling of your bank account by thieves who fake your identity as they know all your personal details like name, date of birth, etc. from the card. The social security card is too much private, and you must guard it to keep it safe and secure. However, people still lose their social security cards. Unlike credit cards that you can close or block on coming to know that you have lost it, you cannot do the same for social security card. In case you find that you have lost your social security card, you must take some steps immediately. To prevent any misuse of your SSN or social security number for unlawful monetary transactions, you must first report about the loss to Experian, Equifax or TransUnion the major credit reporting agencies. This would help to set up a fraud alert, and the agencies would share the information amongst themselves. Even though it may take years for settling the matter, you must keep renewing the alert every 90 days until you file an application with the social security office of SSA to obtain a replacement card. On knowing from you about the loss of social security card that you must categorically state as stolen, the agencies will provide you with free copies of updated credit reports that you can scrutinize to find out any unfamiliar inquiries and accounts. File an identity theft report with the local police to clear your name and records for applying for a replacement social security card. Similarly, report the theft to the Internal Revenue Service or IRS to prevent thieves from filing tax returns in your name with the purpose of collecting the refund. You must also keep the Federal Trade Commission informed about the theft. Since you cannot do without a social security number, you must immediately file an online application for obtaining a replacement card. Take help from some agent that charges you some fees and provides comprehensive service in assisting you in filing the complex application accompanied by the right documents. The application process that is difficult, to say the least, becomes easy and convenient with the guidance of the agent. The agent will hold your hand throughout the process so that the filing is flawless and you receive the replacement card at the earliest. It saves time and effort besides eliminating the chances of the authorities turning down your request.